The end of the year marks a threshold and invites a pause for reflection. It's a great time to take stock of the year behind and look ahead. Each year at this time, I write and reflect on 12 reflection questions for this very purpose. The end of the year marks a threshold and invites a pause for reflection. It's a great time to take stock of the year behind and look ahead. Each year at this time, I write and reflect on 12 reflection questions for this very purpose. This year's questions includes some of the old favorites (some truly need to be asked each year) and some new ones. Whether you are in a leadership role, an aspiring leader, or you just want to be your best in work and life, the habit of reflection can build self-awareness, efficacy and resilience. If done right, it can also help you establish and achieve more meaningful goals. In the days ahead, I encourage you to take the time with these questions over several sittings. Let your thoughts percolate and stay with the questions over the next few weeks. This question is a keeper from year to year. Twelve months have gone by -- most likely too fast! How did it go? Acknowledge all that worked out well: the goals you achieved, the events and circumstances you feel good about. Your first take on this will likely not capture enough of the good. Your brain is built to default to remembering more of the negative (blame it on evolution). The positives -- albeit nice in the moment -- tend to be more fleeting in memory. Be intentional in remembering more of the good. This will fuel you and likely surprise you, too. Perhaps enough to make your year better than you first thought. After acknowledging what went well, think about the people who played a part. Let them know. Consider all the contexts in your life (personal, professional, volunteer, etc.). Expressing gratitude will not only make the receiver feel good, it will make you joyful as well. It's a great gift and 'tis the season, after all. If you are having trouble answering this question, then you aren't creating enough stretch goals for yourself. Leaders -- at any level -- must continually learn, evolve and grow. By the end of the year you should be a better version of yourself in some way. Maybe smarter, more informed, more skilled in some areas? Stagnation is not a good thing for personal and professional well-being. This is different from "what went well." This is about identifying the truly stellar, stand-out moments where life just felt "right and good." Then ask why they were so meaningful. Mine those peak moments to strengthen self-awareness of your values and character strengths. Leaders know that when one lives and works in congruence with their values and strengths a whole lot more good happens. Whoa! What happened to all that positivity from those earlier questions? This question is just as important, but make sure you reflect on it without judgment. Resist the whine-fest and instead just take an honest look to acknowledge what isn't working. Perhaps a situation (work or life) that was fine or great for a long while isn't anymore. Times and conditions change -- have you changed, too? What are you putting up with? What are you settling for? Where are you playing too small? Where are your values being compromised? This is a tough question, but if you are true with yourself this could reveal insights leading to more meaningful goal-setting for the year ahead. Wrap up your year by giving it a theme or name. For instance, 2015 was the year of ___________. As you leave 2015 behind and begin a new year you are crossing a threshold. What other thresholds do you need to prepare for? Will there be some big changes happening at work (or elsewhere)? Or perhaps an intentional change you want to create? Naming the threshold can sharpen your focus and planning to help you get ready. We all need people but sometimes the busyness of our lives gets in the way. Is it time to put more priority in your relationships? Consider your work, social, community and social relationships. Who do you need to reconnect with or perhaps start new relationships with? For inspiration? For career well-being? For other? How about you with you? Time to take more time to tune in, reflect and get to know yourself better. You wear many roles in work and life. Think about how you are showing up in each of them. Where do you want to be better? Get specific and create intentions that you will act on. If you want to be a more open, collaborative leader, then set goals for how to achieve that. Make time to give more meaningful and frequent feedback, connect authentically and learn to be a better listener. Now it's time to think about your goals, intentions and possibilities for the year ahead. 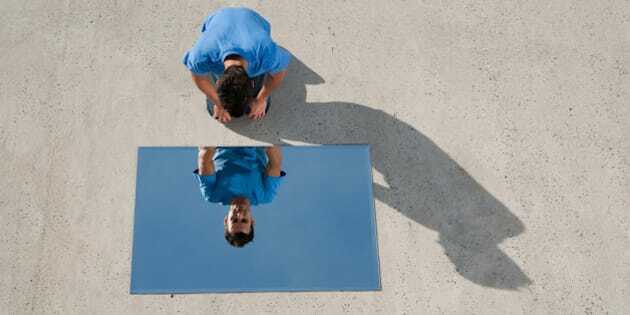 Perhaps something in this reflection has spurred you to a new goal that's now ready to be declared. Write your goals down and make them specific and concrete. Of course, naming the goal is only the start. You also have to back it up with a plan, commitment and action! What will you do? What's the mantra for 2016? I like the idea of having a theme, mantra, or even a powerful question to define intentions for the year ahead. I recently heard a great one at the TEDx Toronto conference in October. As emcee, Drew Dudley presented this question and said we should ask it of ourselves daily: "Am I capable of five seconds of courage right now?" This is powerful if you have big goals and big changes ahead. I will be trying that on myself. How about you? What's your word/phrase/question for 2016?